Prepping the ribs is simple but oh so important! You want to use a broiler pan and pour water & soy sauce into the bottom of the pan, rub down the meat with the spice mix and place the rubbed ribs on broiler pan. Then cover the ribs and pan completely with tin foil, this is key because the foil holds in all the moisture and steams the ribs, then you let the slow oven heat and the moisture work its magic for 6 hours. 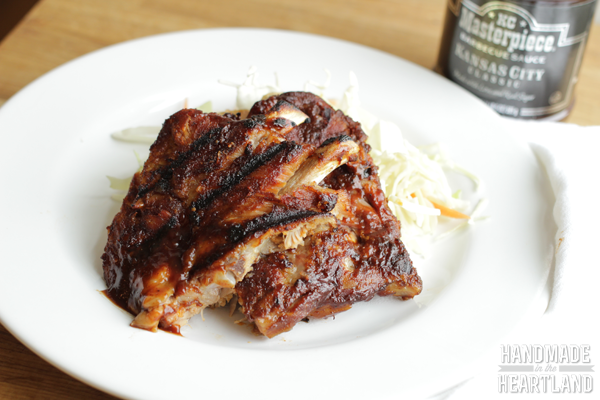 When you take the ribs out of the oven they will be fully cooked, but they aren’t finished. Like I said the secret to these ribs is in the last step where you slather them with KC Masterpiece BBQ sauce and char them on the grill. Is your mouth watering yet? 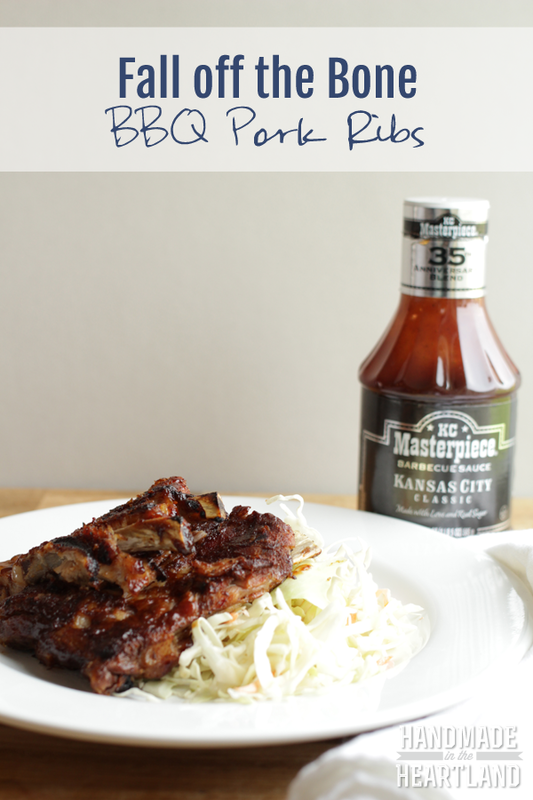 I love the 35th anniversary KC Masterpiece sauce, its sweet and tangy and only a slight hint of kick. It’s only available for a limited time in select “heartland” markets so if you’re like me you might be buying a bunch of bottles to stock pile. 🙂 I’ve been in Kansas City for 6 years now and I have been thoroughly converted to a BBQ state of mind! 1. Preheat the oven to 200 degrees. In the bottom of a broiler pan place the water and soy sauce. Place the insert of the broiler pan back on top. This creates a steam cooker for the ribs. Mix together your spice mix, it makes a 1/2 cup of rub and I only used about 3/4 of it, generously pour and rub it all over the meat on both sides. 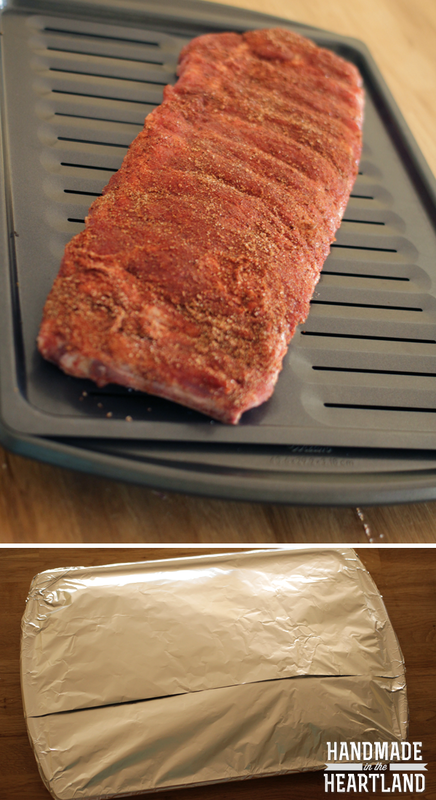 Place the ribs on the top of the broiler pan and then completely cover the entire pan with aluminum foil. This will seal in all the moisture as they cook. Place the pan in the oven (be careful as you move it so you don’t spill any of the liquid) and cook for 6 hours. 2. After they have cooked for 6 hours remove the pan from oven and take off the foil. The ribs are fully cooked at this point but the last step is the secret weapon of making these babies delicious. 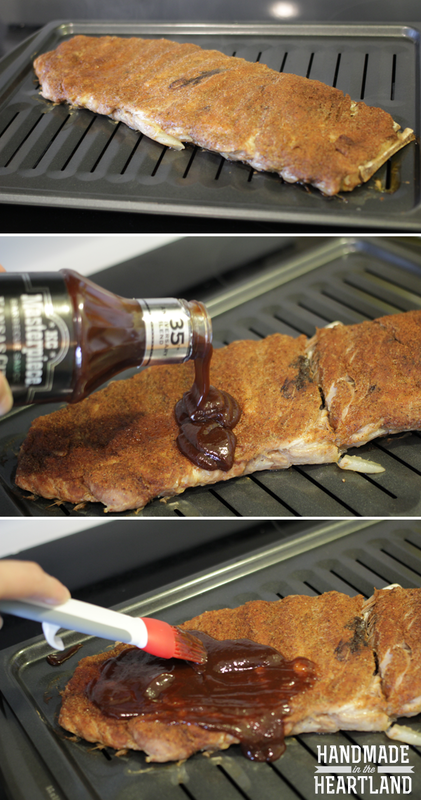 Preheat your grill to high, slather the meat with your KC Masterpiece bbq sauce on both sides. Once your grill is good and hot spray with cooking oil (I forgot this step and so sadly some of my meat stuck to the grill) grill the ribs for 4- 5 minutes on each side. This is only to give it a good char because the meat is already fully cooked. 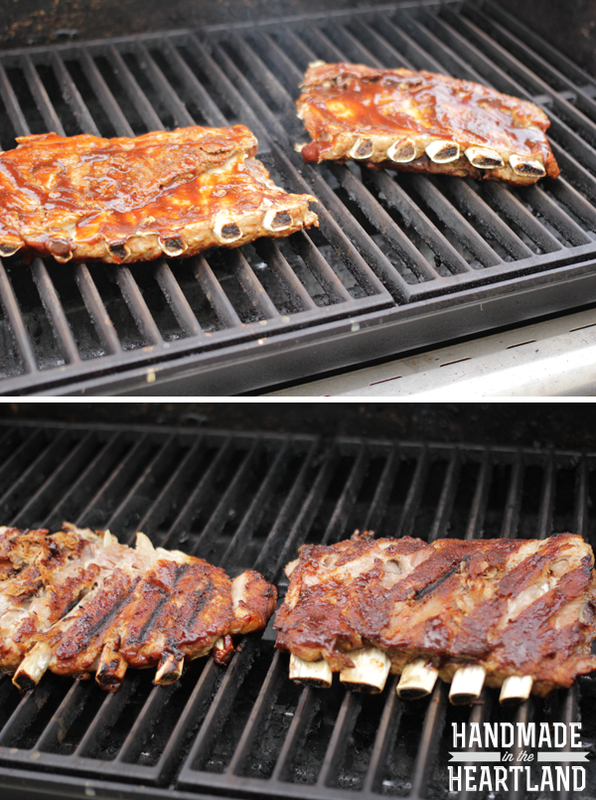 Remove from grill, add more bbq sauce if you like and watch the meat fall off the bone as you eat it! Enjoy! 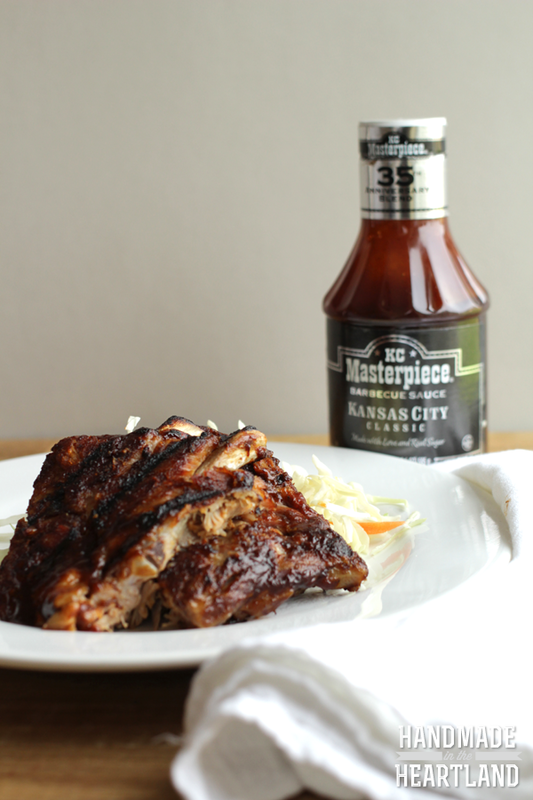 KC Masterpiece® barbecue sauce has been delivering authentic barbecue taste and creating culinary masterpieces for 35 years. For more recipe ideas, tips and tricks visit www.KCMasterpiece.com. This is a sponsored conversation written by me on behalf of KC Masterpiece®. The opinions and text are all mine.